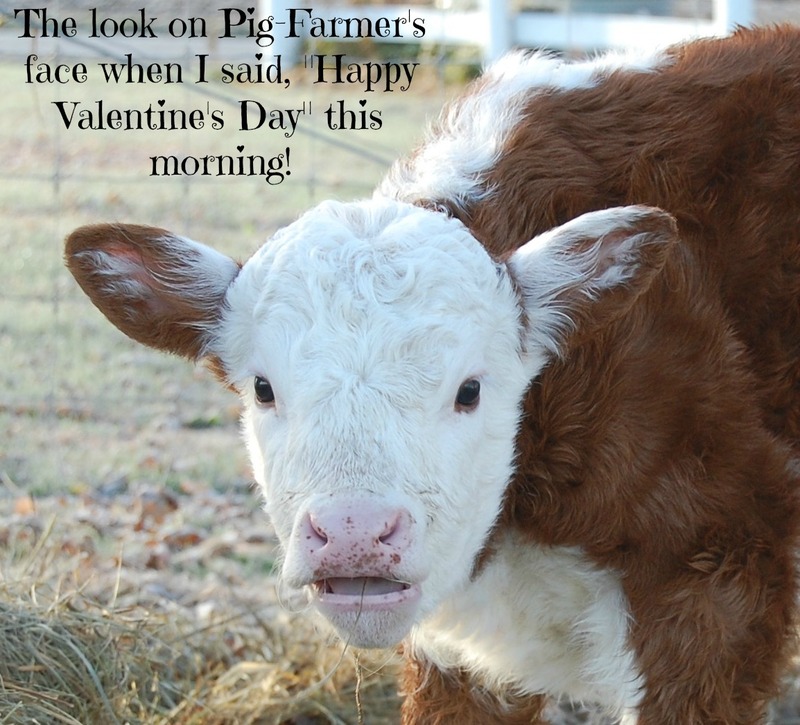 Image | This entry was posted in Holidaze, Polled Herefords and tagged Humor, Pig-farmer, Polled Hereford calf, Valentine's Day. Bookmark the permalink. You could make all sorts of greeting cards with this picture. Huh, that’s funny. When I comment, my post usually uses my Workhomebalance blog icon. Anyway, can’t wait to see your cards.